WELCOME HOME... FABULOUS PALM HARBOR LOCATION!!! SINGLE FAMILY HOME IN A 'ZERO LOT LINE' COMMUNITY!!! CORNER CUL-DE-SAC HOMESITE! 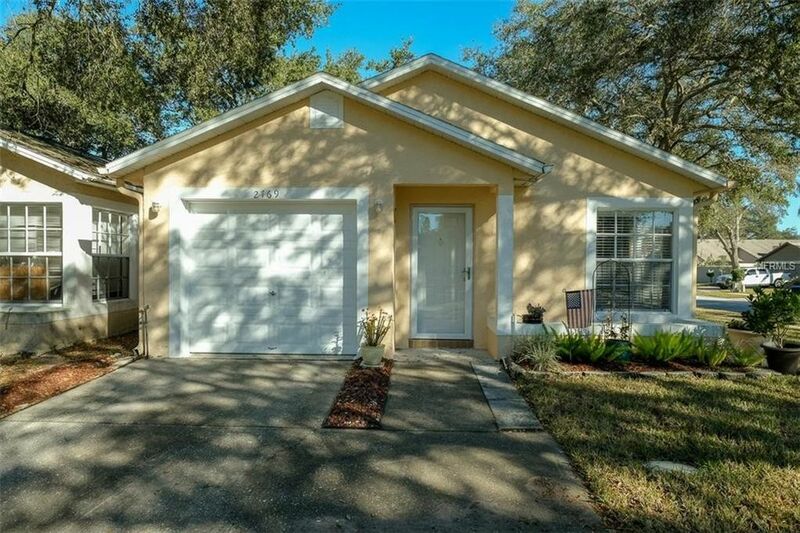 PRIDE OF OWNERSHIP ABOUNDS IN THIS WELL MAINTAINED 3 BEDROOM, 2 BATH WITH A 1 CAR GARAGE! GREAT ROOM DESIGN WITH VAULTED CEILING, NEWER CARPET, MASTER BEDROOM WITH NEWER LAMINATE FLOOR, WALK IN CLOSET, NEW ROOF IN JULY 2015! NEW A/C IN JULY 2013! NEWER BLINDS THRU OUT HOME! NEWER WASHER AND DRYER! GREAT LOCATION TO ALL SHOPPING, RESTAURANTS, TIA AND MINUTES TO PARKS AND WHITE SANDY BEACHES AT 'HONEYMOON ISLAND' ON THE GULF OF MEXICO!! LOW HOA! GREAT PALM HARBOR SCHOOLS! LOOK FAST... A GREAT OPPORTUNITY! !